I know this post is super duper late and it is nearly the end of January already-whoops! I was expecting January to go by slowly like it was last year when the month seemed to last 84 years and each day was cold and just long aha. 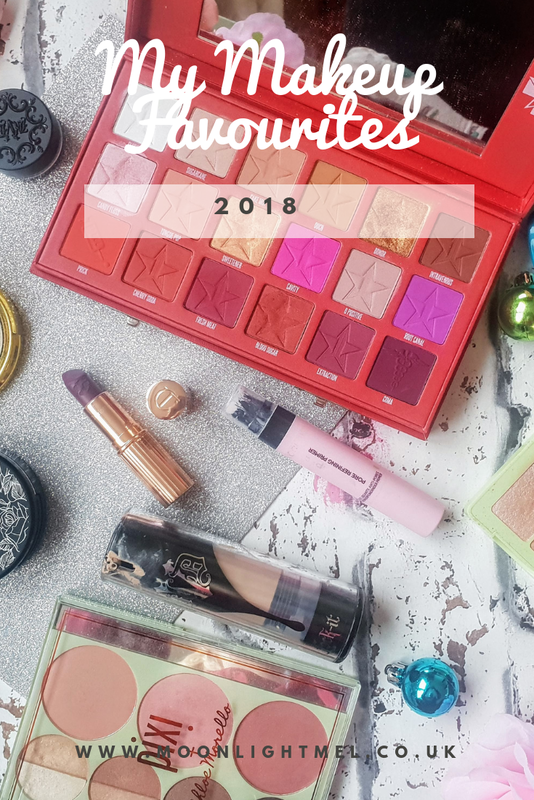 I got to say so far this month it has been fab and I thought why not share my favourite makeup products of 2018! Choosing was so easy because I used all of the products in the pictures soooo much it would have been silly not too. In 2018 it had to be a year in which I tried the most variety of brands I have ever bought and tried out. Out of that diversity of new brands I have tried so many of them have become firm favourites in my collection. 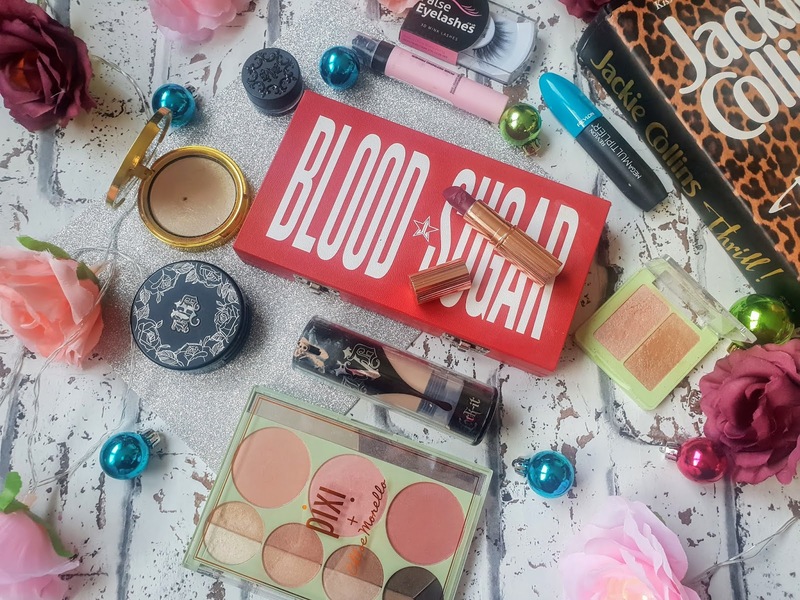 Some of the new brands I just got round to trying in 2018 is 'Charlotte Tilbury' and 'Pixi Beauty', I will tell you more about them further along in the post. My Favourite Makeup of 2018! Kat Von D 'Lock-It Powder Foundation 9g - I know this is used as a foundation but I personally use it as a bronzer to create the perfect contour, it adds definition to my cheekbones and adds the perfect angle to apply my highlighter next too, its fab because its a good sized compact that has a handy mirror with it too. Kat Von D 10TH Anniversary Metal Crush Extreme Highlighter in Gold Skool 4.8g - This highlighter is just gorgeous, it has a shimmer finish and with an extreme sparkle and a lovely rose gold finish. It is very vibrant so I tend to use this with a sharp contour. Kat Von D 'Lock-It Liquid Foundation 30ml - This foundation has a matte finish and its full coverage and I mean it really is! I tend to wear this foundation on days I want to go out somewhere special or even shopping, it stays in place all day. It goes perfectly with the powder foundation and highlighter, they work like a dream team. Kat Von D 'Super-Brow' 24-Hour Long-Wear Pomade 5g - MY HOLY GRAIL BROW PRODUCT! This is so fabulous I have bought 2 already. Not only does this give me brows that are on fleek but it doubles up as an eyeliner! It gives the perfect winged liner. Perfect product. Pixi Beauty Palette Chloette - Favourites of Chloe Morello, this palette is inspired by love and romance, can I get an awwww over here! This palette is fabulous it contains 3X blush shades, 6 eye shades and 3X Liner and Brow shades. Its perfect for everyday wear. My favourites have to be the middle blush and the eyeshadows, they are shimmery but not over the top, just perfect. Pixi Beauty Highlighter Duo - Shimmery bliss! It's like a wet highlighter and comes in a champagne shade and also a rose gold shade. I love using this on my cheekbones, also my nose bridge and my cupids bow. L'Oreal Infallible Pore Refining Primer - This primer has 5 different varieties to choose from and I chose the pore refining primer to help cover my pores and to create a flawless base for my foundation and my goodness this works! I needed about 2 pumps of primer to cover my face and part of my neck. It not only was it ultra light-weight but it helped keep foundation in place longer and also look evener. Jeffree Star Blood Sugar Eyeshadow Palette - Probably my favourite present of 2018! 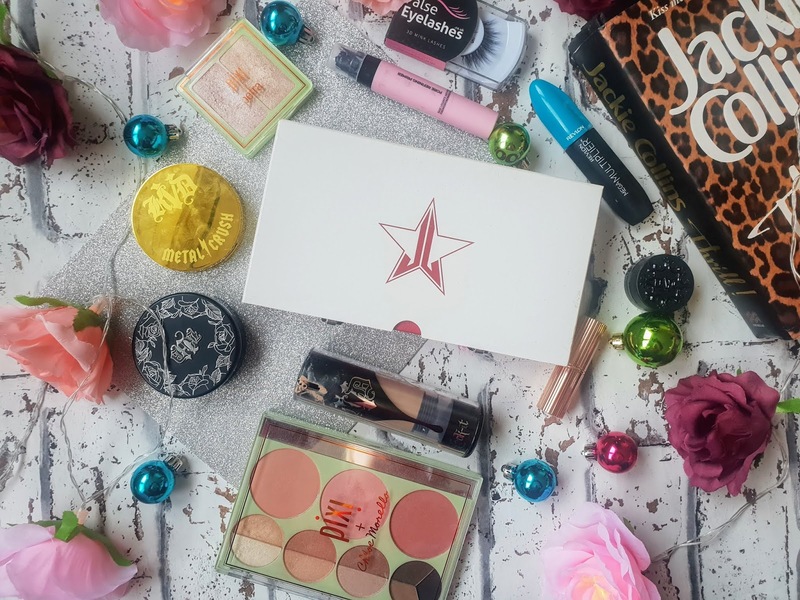 Not only is the packaging just divine with its red well-built case and mirror with the Jeffree star logo on it but the eyeshadows themselves are something else. It has 18 eyeshadow shades that are shimmery, sparkly and matte. The eyeshadows are a variation of reds, pinks and purples and the pigmentation is just intense. They last all day and also blend so well together. Charlotte Tilbury K.I.S.S.I.N.G Lipstick in Hel's Bells - Who has watched Carry on Abroad? if so they were a hotel their called Hells bells and that's was made me choose this lipstick first. The lipstick comes in the most stunning packaging, its heavy and the lipstick itself is designed nicely too with a Charlotte Tilbury kiss logo embossed on it ( mine has long gone, the amount times I have used this lipstick). The lipstick has the most lovely shade and it's so creamy and nice to apply, can't wait to get another aha. As you can see Kat Von D beauty products did feature quite a lot in my overall favourites and I am not surprised. Most of the products I have tried in the range work so well and are long-lasting, it's a reason I love buying her makeup. Charlotte Tilbury was a totally new brand for me last year and ever since I bought the lipstick and tried the perfume I just want to buy the full-size perfume and try even more of the products. I am excited to see what products I will love this year and I wonder how different my 2019 favourites will be. I can't believe how many Kat Von D products you've featured here, I know a lot of people like her products but I didn't realise they were that good! The Jeffree Star palette is gorgeous as well! 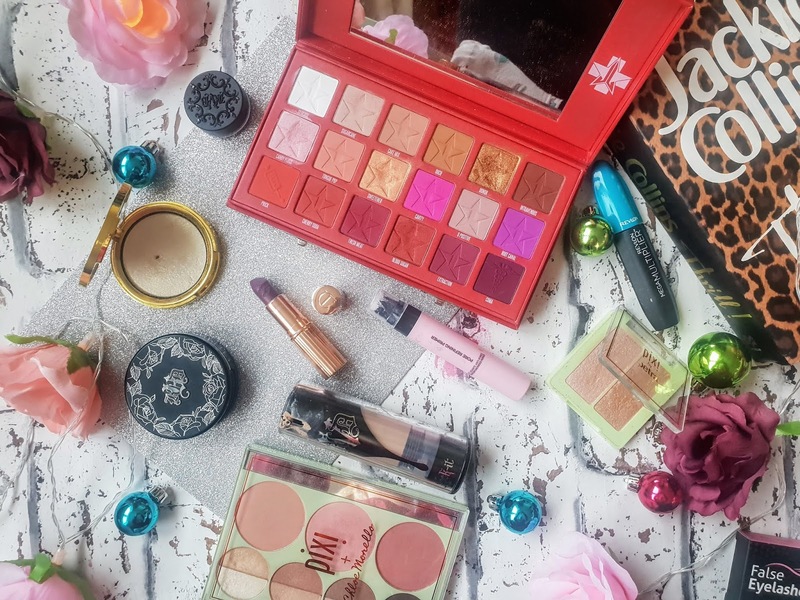 Thanks for sharing your favourite makeup products of 2018! I've never used Kat Von D makeup but it sounds really good! I bought my first Charlotte Tilbury item last year and I'm really hoping to invest some more this year, I always hear such amazing things about it! I did really love the KvD foundation at first but it's just far too heavy for my skin now which is a shame. I do still love the setting powder, though! Ooh I've literally not tried any of these products so I feel like I'm missing out! Kat Von D's makeup line is something I've been wanting to try for an age now so I'll definitely have to pick up a few of these bits up!